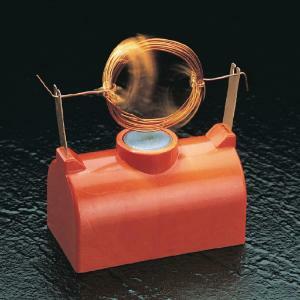 Electricity runs through the coil, forming a magnetic field; the coil is then “pushed” away from the magnet, causing the coil to spin and become charged. It includes assembly instructions and suggested activities. Size: 2 5/8"L x 1 3/8"W x 1 1/2"H.